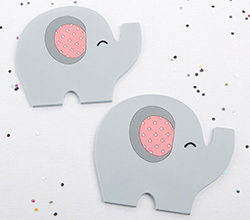 Although these elephant-shaped coasters are adorned with pink polka dotted ears, there's nothing nutty about this great thank you favor! 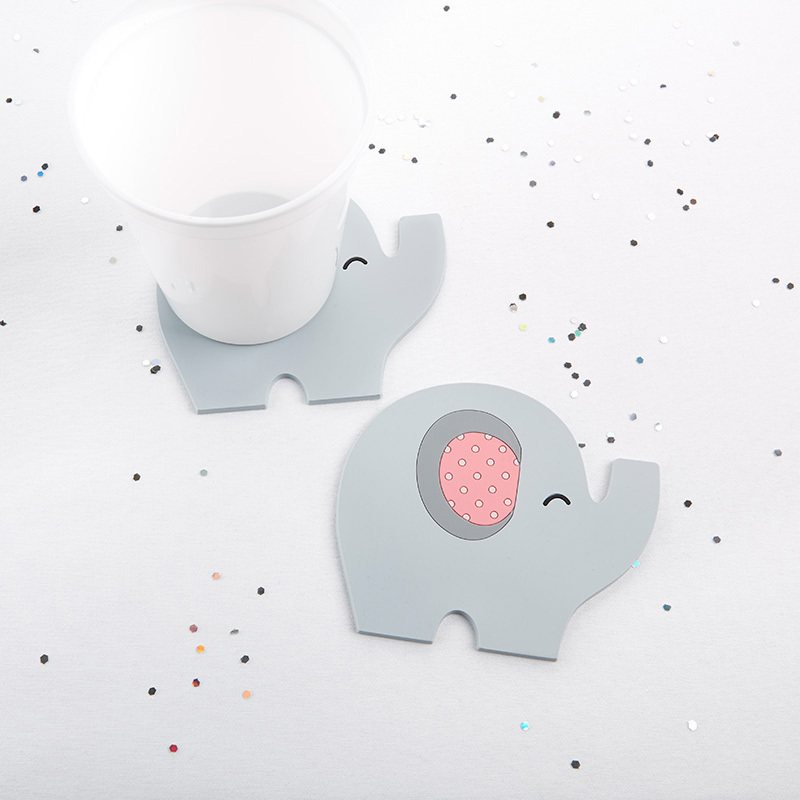 Perfect as part of your little peanut party decorations, these adorable coasters make great guest favors. 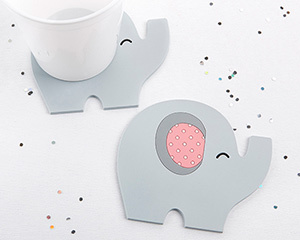 Your guests will appreciate the fact that you've given them something so functional after your little peanut baby shower or birthday party, and they'll also love the fact that they're super cute!